The primary duty of the Hartman Post 84 Honor Guard is to perform military funerals for not only members of our Post but also Veterans of the surrounding area. The Honor Guard also provides Color Guards for parades, special civic events, meetings along with District and State meetings of the Nebraska American Legion. On top of that the Honor Guard performs the Post Everlasting Ceremony in which the post members who have deceased during the previous year are transferred to the Almighty of all. 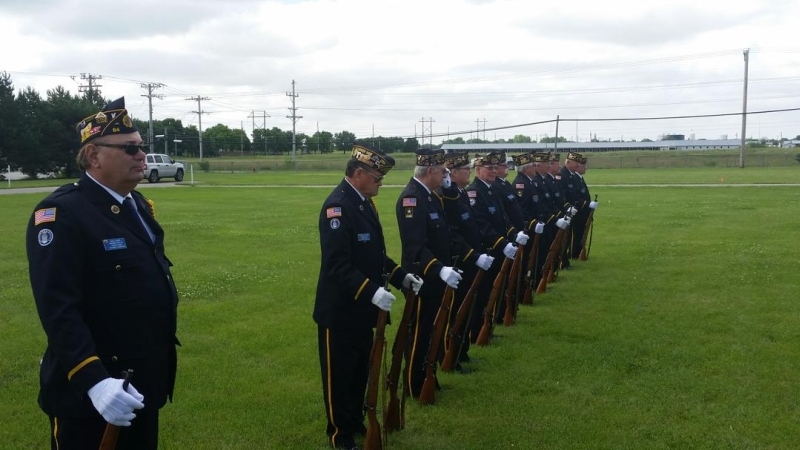 The Honor Guard has done the Post Everlasting Ceremony at District and State meetings of the Nebraska American Legion. A new item that was started in April 2016 is a Pinning Ceremony. This is a ceremony which is held for a Veteran who is in hospice as a way to thank them for their service to their Country while they are living. This ceremony is done under the direction of hospice services. The Post Honor Guard has and will continue to go to out of town locations for our members.